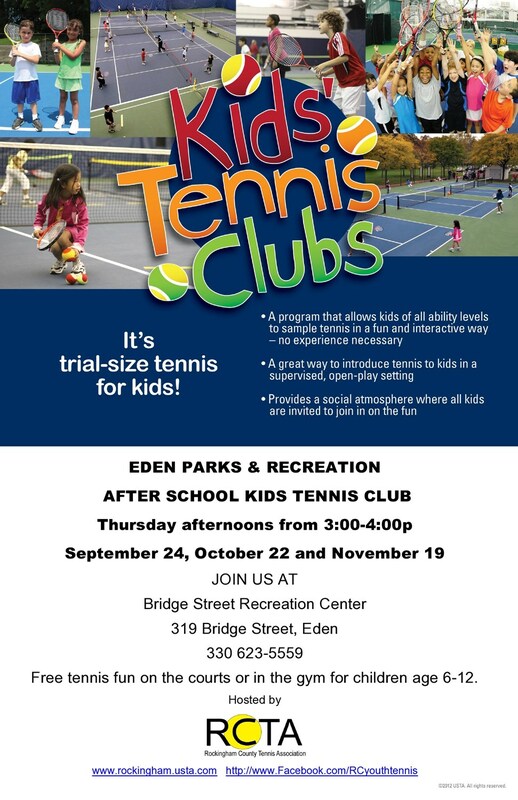 Eden Parks & Rec is offering an Afterschool Kids Tennis Club for ages 6-12 at Bridge Street Rec Center. Kids Tennis club is a program that allows kids of all ability levels to sampl tennis in a fun and interactive way - no experience necessary. All equipment and FUN provided by RC Tennis Association. Meet us on the court or in the gym on Thrusday afternoons from 3-4pm on September 24, October 22 and November 19.